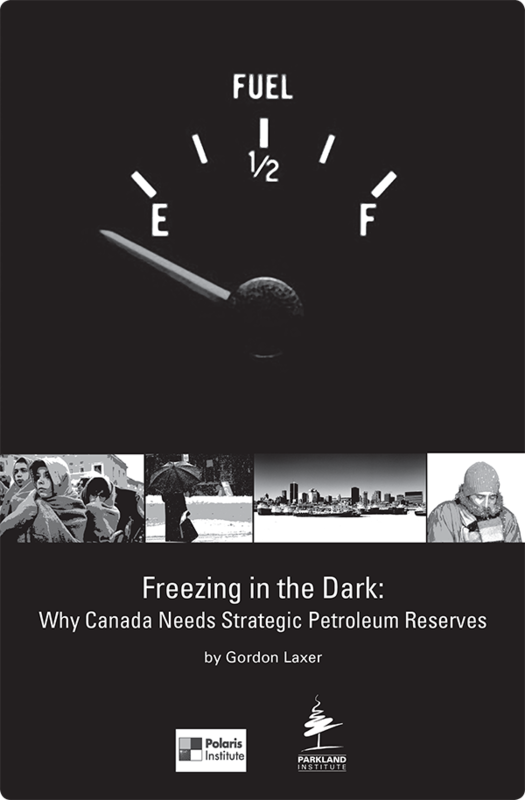 Canada needs Strategic Petroleum Reserves (SPRs) – short-term stores of oil that can be released during supply shortages to meet regional needs. Canada is a producer and net exporter of oil. Yet this national status masks an important regional divide; Eastern Canada is a net importer of oil, receiving up to 90 per cent of its oil from overseas, much of it from OPEC countries like Algeria, Iraq and Saudi Arabia. Eastern Canadians are vulnerable to global oil supply shocks. The International Energy Agency (IEA), of which Canada is a founding member, requires member countries that are net importers to maintain emergency oil reserves of 90 days of net imports. It does not require this of net exporters, as exporters are sensibly assumed to ensure domestic oil needs before exporting their surpluses.Unfortunately, unlike in most industrial countries, Canadian governments in recent years have not prioritized domestic energy security. Canada exports 67 per cent of the oil it produces to the United States, and NAFTA’s “proportionality” clause prohibits Canada’s government from reducing this proportion, even in times of crisis. And there is not enough east-west oil pipeline capacity to transport western oil to Eastern Canadians in times of supply shock. Strategic Petroleum Reserves have been employed for nearly a century to protect against short-term oil shortages. They have been created in the IEA countries, the European Union, China, India, the Anglosphere countries of Britain, Australia and New Zealand, and other countries. In addition to its very large SPR, the United States also has a smaller home heating oil reserve in its northeast. Global demand for oil is growing and supply is increasingly tight. Peak global oil production will arrive soon, if it hasn’t already. A report prepared for the U.S. Department of Energy reviewed 12 studies of peak oil; of these, eight predicted global peaking by as soon as 2010, several predicting the peak earlier. Tight supplies mean that small disruptions have big effects on both price and availability. Disruptions can occur because of natural disasters such as hurricanes, terrorist attacks or embargoes. At the same time as demand growth is outpacing new supplies, producing countries are beginning to re-nationalize oil reserves and production. Currently, about 80 per cent of global oil reserves are controlled by state-owned oil companies. Most of these public oil companies have a nationalist orientation, looking after domestic needs first. At the same time, the proportion of Canada’s imports from North Sea countries is rapidly shrinking, while our imports from OPEC countries are growing. The growth in global oil demand is now being led by East Asian and South Asian countries with large populations. These countries are increasingly purchasing oil through long-term supply contracts, which will further reduce global market availability during times of oil supply shocks. With Eastern Canadians dependent on oil imports, with severe trade and infrastructure limits on Canada’s ability to re-direct western oil to the East in the near future, and with a global oil supply that is increasingly tight and vulnerable, Canada needs to develop SPRs. What would Canadian SPRs look like? IEA guidelines call for SPRs to have 90 days supply of imported oil, which for Canada would mean approximately 76 million barrels. However, SPRs are expensive to build and operate, and slow to fill. We can reduce the size of SPRs needed, and Canada’s vulnerability to oil supply shocks, by reducing our oil imports. If Canada reversed the flow of the Montréal to Sarnia pipeline, which currently brings foreign oil through southern Ontario, it could bring Western Canadian oil to Québec and reduce imports by almost a third. Taking the portion of Newfoundland oil that is currently exported and re-directing it to Eastern Canada could further reduce import levels. In combination, the pipeline reversal and redirecting Newfoundland’s oil would cut imports to perhaps half of current levels. This would reduce the size of the SPRs needed to approximately 38 million barrels. Finally, taking measures to reduce oil consumption could further reduce imports, as well as help Canada comply with our international legal obligations to reduce greenhouse gas emissions. Locations of SPR facilities would need to be determined by a combination of environmental, economic, social and political factors, and would need to take account of vicinity to refineries and transportation logistics. SPR sites are needed in Southern Ontario, Québec and Atlantic Canada. Siting and designing SPRs would require research and public deliberation. Environmental and social impact assessments, including cumulative impacts, would have to be carried out. Such processes need to be done properly, and would be time consuming. However, in the meantime, Canada could develop temporary emergency supplies. Many European countries have long required their oil industry to hold emergency supplies. Eastern Canadian refinery inventories – currently hovering at eight to 21 days of supply – could be required to rise to provide the emergency cushions. Canada needs to protect its eastern citizens by developing national strategic petroleum reserves. This would address our vulnerability to short-term supply shocks. At the same time, the Canadian government needs to put Canadians first by developing strong federal-provincial partnerships aimed at energy security and environmental protection. Reducing domestic oil consumption and carbon emissions. It is time that the Canadian government recognized the vulnerability of Canadians, and particularly Eastern Canadians, to oil shocks in the coming years, and took steps to protect them.